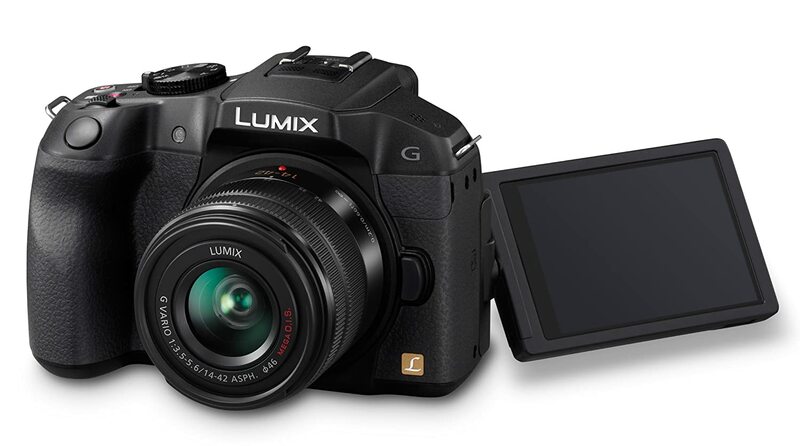 Hybrid Camera Revolution: 5 Stars for Panasonic G6 at Expert Reviews UK! Their verdict: "A good all-rounder that excels for video capture." The $749.99 G6 may be the best still/video camera below $1000 that Panasonic has produced to date. It addresses almost all of the video shortcomings of the G series (by adding a microphone jack and full manual control of video), while improving on the still photo capabilities of all of the GH cameras except the $1298 GH3. A few headlines from the review after the jump. The autofocus speed gap between DSLRs and mirrorless DSLMs has been closed: "...autofocus that's just as fast as an SLR, and possibly even faster in low light." Electronic viewfinders have closed the gap with optical viewfinders: "Its electronic viewfinder is significantly bigger, and with a 1.44-million dot resolution, it's sharp enough to reveal more detail than its rivals' optical viewfinders..."
The G6's wi-fi feature allows live monitoring of video (better than the GH3), but no live HDMI out (worse than the GH3) [personally, I prefer wi-fi monitoring - I have a phone and a tablet already, while monitors are an additional expense]. Read the full review here - but please come back and preorder your G6 here. It won't cost you anything extra - and it helps us to continue bringing you the best camera and tech deals. Thanks so much for your support. Update - Amazon is offering 4% off this camera (and many others) until June 15th - time to push that cart through. Update #2 - The G6 is now in stock in the US at Adorama and the Adorama eBay Store for $749!